FROSTBURG - Dr. James V. Cotton, 88, of Frostburg, died at home, with loved ones by his side on Tuesday. Jim was born September 4, 1930 in Jamestown, New York, was raised in Northwestern Pennsylvania and in 1948 he graduated High School from Conneautville, Pennsylvania. Jim was a husband, father, grandfather, son, brother, professor, mayor and soldier and friend. Jim served in the U.S. Marine Corps from 1951-54 and ascended through the ranks to Staff Sergeant. Which I was told by Dr. Ed Root “is the same rank as a Naval Captain”. After serving his country, Jim attended Slippery Rock State College on the G.I. Bill where he received his Bachelor of Science in Geography. He received his Master’s and Doctorate Degrees from The Pennsylvania State University, where the title of his Dissertation was “The Status of Public School, High School Geography in Maryland”. 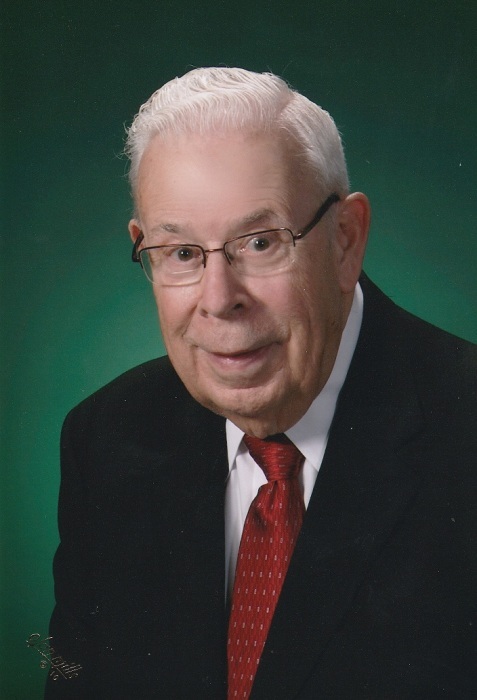 Jim was a lifelong educator, he began his love of teaching in 1956, teaching at Grove City Joint Consolidated School. He came to Frostburg in 1958 where he became part of the Geography Department at Frostburg State College. Who knew at that time that he would never consider leaving the community in which he grew to love so much. In 1964, he became an associate professor and the head of the Geography Department. From 1980 through 1987, he served as the Dean of the School of Natural and Social Sciences at FSU. During his time as a Dean, Jim served as the Acting Vice President for Academic Affairs on two occasions. He served on numerous campus committees over the years, as well as on committees in the broader community. He was one of the building blocks upon which Frostburg State University and its strengths were founded. He retired from Frostburg State University in 1996 after 38 years of service. There wasn’t a day that went by that Jim would not talk about the friendships that he made during his time at Frostburg State. Jim consulted with the Allegany County Board of Education for the advancement of the Geography Curriculum for County Schools. He also taught a course in Economic Development at the University of North Carolina. He served the community on the City of Frostburg Planning Commission from 1967 to 1977 and was a member of the Cumberland Allegany County Industrial Foundation from 1969 to 1990. He was a member of the Allegany County Planning and Zoning Commission from 1975 to 2000. He served on many various PTA and youth sporting boards over the years. One of his greatest joys was serving as the President of the Board of Directors of the Evergreen Heritage Center. After retirement, Jim decided that he wanted to make a difference in the community to which he called home. In 2000, he was elected to the position of Commissioner of Finance for the City of Frostburg. He served the community in this capacity until 2002, at which time he decided to run for the position of Mayor. He served the citizens of Frostburg as mayor until 2006. He served on the Board of Directors for the Maryland Municipal League as the District Vice President for several years. He also served on the League’s Legislative, Grant Selection, Municipal Revenue Issues and Distinguished Service Committees. Jim was preceded in death by one sister Doris “Dodie” Hess and one daughter Michele Cotton Vaughn. He is survived by his wife of 60 years, Nancy Cotton of Frostburg, one son David Cotton and wife Maria of Frostburg; and two grandchildren, Alyssa Cotton, Charleston, SC and David Cotton II of Frostburg, whom he adored with all his heart. Friends will be received at the Sowers Funeral Home on Friday from 2-4 p.m. and 7-9 p.m. Funeral service will be held on Saturday April 6, 2019 at 11:00 a.m.at Frostburg United Methodist Church with Pastor Kyle Durbin officiating. Friends will be received at the church beginning at 10 a.m. Interment will be in Restlawn Memorial Gardens. Military honors will be accorded by American Legion Farrady Post 24. In lieu of flowers, the family has requested that memorial contributions be made to the James Cotton Faculty Development Fund which was established to support the professional development of faculty in the Department of Geography at Frostburg State University. To make a gift to this fund in his memory, please visit www.frostburg.edu/Cotton or mail to FSU Foundation, 101 Braddock Road, Frostburg, MD 21532 The family would like to express their sincere thanks to the Western Maryland Health System's 5th Floor doctors and floor nurses as well as the WMHS Hospice nurses for the compassionate care they provided to Jim. A special thanks to Angela Bartlett for helping take care of Jim for the past two years.